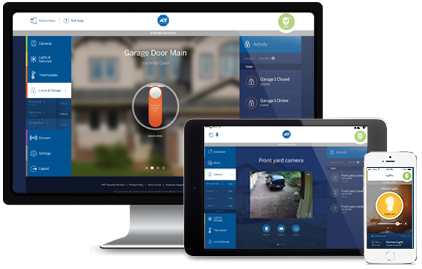 ADT Pulse gives you the ability to control lights from your smartphone, tablet, computer, or touchscreen keypad. ADT Pulse with Automation give you the ability to control lights from your smartphone, tablet, computer, or ADT Pulse touchscreen keypad. ADT Pulse also allows you to set up your lighting on a schedule or as an automation if something else happens. Lighting is one of the easiest and common components of ADT Pulse to add over time. HOW DO I KNOW WHICH ADT PULSE LIGHTING OPTION IS RIGHT FOR ME? When trying to decide which ADT Pulse lighting device is right for you there is one main question you need to answer first. Do you want to replace a light switch or just plug a lamp into it? If you want to replace a light switch look at that section below. If you want to just plug a lamp into it skip to the Lamp Module section. If you have an in-wall light switch that you want to control with ADT Pulse you have the following questions to answer to help you know what ADT Pulse Light switch to get. Do you want dimming ability or just on/off function? 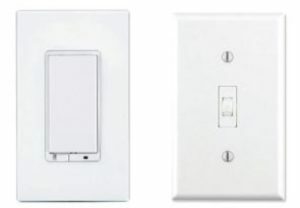 There are just two types of in-wall switches – dimming and on/off. Do you want the standard decora design or the more old fashioned toggle switch look? The most common switches are the decora style that you push in to turn the light on and off. The toggle switches are starting to become available but are not as popular. How many lights are you wanting to control on a dimmer? If you have lots of can lights you want to control you will want to have a dimming light switch that can handle the load. There is a 600 W load option and a 1000W load option. How many light switches are there that control that same light or set of lights? If you have two light switches that control the same porch light (for example) you would need to purchase an in-wall on/off switch and also an auxiliary switch. If you have three light switches that control a single light or group of lights, you will need two auxiliary switches. ADT Lamp Modules are a much simpler decision than the in-wall switches because there are fewer options. These are the questions to ask to help you decide on which ADT Pulse Lamp Module is for you. Do you want an outdoor lamp module or an indoor one? There is a specific lamp module made for the outdoors. These are some additional things you should know and consider when looking for what ADT Pulse lighting devices are best for you. 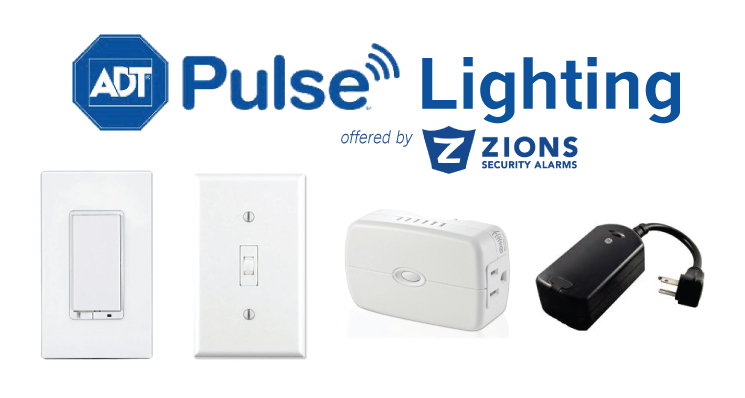 All of the ADT Pulse Lighting options use Z-wave to communicate back to the ADT Pulse gateway. Z-wave typically only works 30-60 feet away unless you have another lighting module in between to boost to mesh network. 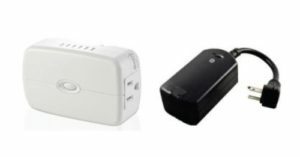 Every ADT Pulse Light Switch or ADT Pulse Lamp Module is also a Z-Wave repeater.